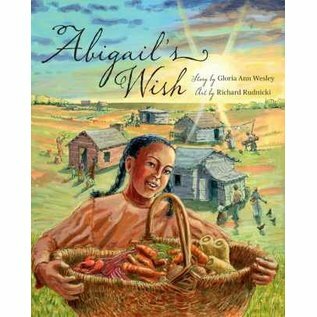 The first children’s picture book set in historic Birchtown, Nova Scotia, Abigail’s Wish is a window into the life of a Black Loyalist family. Ten-year-old Abigail Price is excited about spring in her new home in Birchtown. Spring means lots of things, like flower buds and fresh leaves and her Aunt Dinah’s new baby. She’s hoping it also means she’ll get a new dress to wear for the celebration, but new clothing, like many things, is hard to come by. 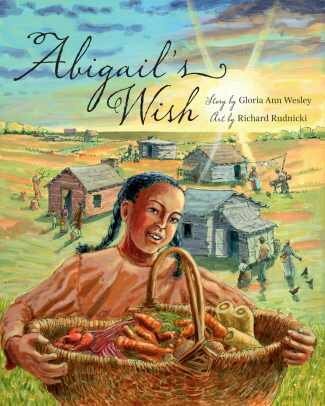 The first children’s picture book set in historic Birchtown, Nova Scotia, Abigail’s Wish is a window into the life of a Black Loyalist family in the early years of the historic colony. Through the eyes of young Abigail, this stunning collaboration between poet and novelist Gloria Ann Wesley and award­winning illustrator Richard Rudnicki will teach readers about Black Loyalist life, and the value of friendship and patience. Gloria Ann Wesley is the author three books of poetry and two historical novels, If This Is Freedom and Chasing Freedom, the latter of which was shortlisted for the 2012 Ann Connor Brimer Award for Young Adult Fiction. She lives in Halifax, Nova Scotia.